Put the 2 tbsps butter, 2 tbsps oil, onion, celery, red-colored and yellow peppers, parsley, capers, hot pepper sauce, Worcestershire sauce, crab boil seasoning, salt, and pepper inside a large saute pan over medium-low warmth and prepare before the veggies are soft, roughly 15-20 minutes. Awesome to 70 degrees. Inside a large bowl, break the lump crabmeat into small pieces and toss using the bread crumbs, mayonnaise, mustard, and eggs. Add some cooked mixture and blend well. Cover and chill within the refrigerator for half an hour. 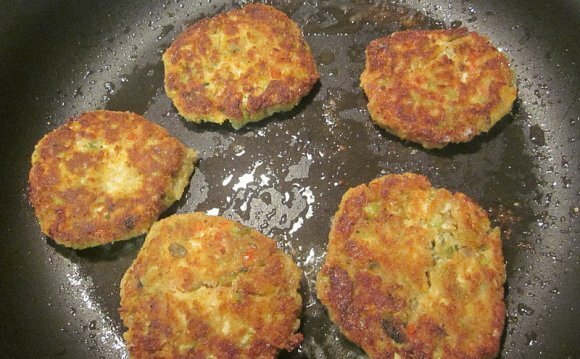 Shape into bite-sized crab cakes. Warmth the butter and essential olive oil for baking over medium warmth inside a large saute pan. Add some crab cakes and fry for four to five minutes on every side, until browned. Drain in writing towels have them warm inside a 250 degree oven and serve hot.